Stainless steel is a popular material found all over the home. Many people have stainless steel sinks, cookware and appliances. Occasionally, new stainless steel items come packaged with a label or sticker. These stickers can leave behind a mess that might seem nearly impossible to remove. 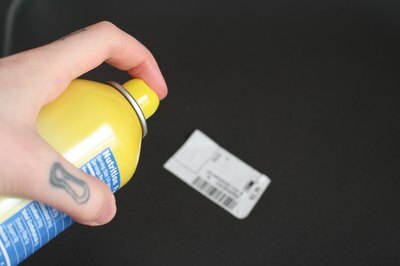 The good news is sticker glue residue is easily removed from stainless steel using products you probably already have at home. Spray some non-stick cooking spray directly onto the sticker glue residue. Apply generously and be sure to cover all of the glue. 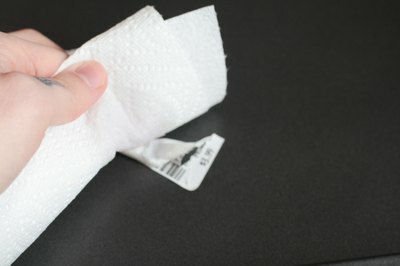 Use dry paper towels to rub the glue until it's completely removed. 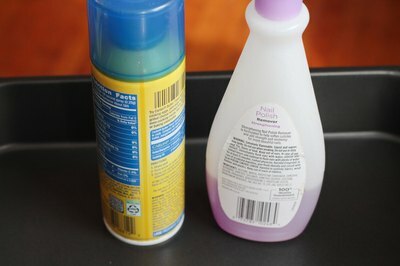 Wash the area using soap, water and a sponge to remove the non-stick spray and any remaining glue residue. 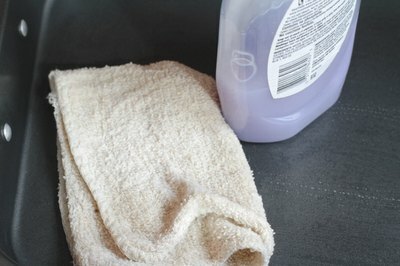 Dampen a paper towel with acetone nail polish remover. You might want to wear rubber gloves to protect your own nails if you're wearing nail polish. 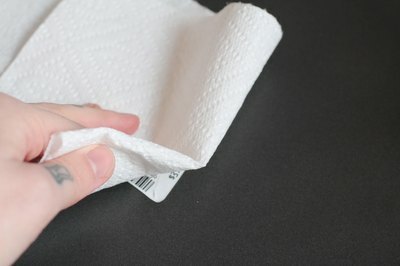 Rub the sticker with the paper towel vigorously until the glue residue is removed. 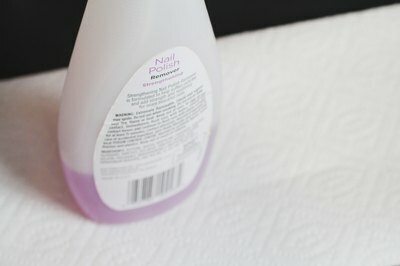 Wash the area thoroughly using soap, water and a sponge to ensure that no acetone residue remains.